Buying new clothes is fun, wearing them is fun too. However, folding and storing them properly after washing so they won't look as if you just picked them from a trash can....that is a different story. It does not have to be like this - at least for T-shirts. Bando, a Japanese company specializing in anything that is made of paper, found a way to store your favorite tees without much effort. 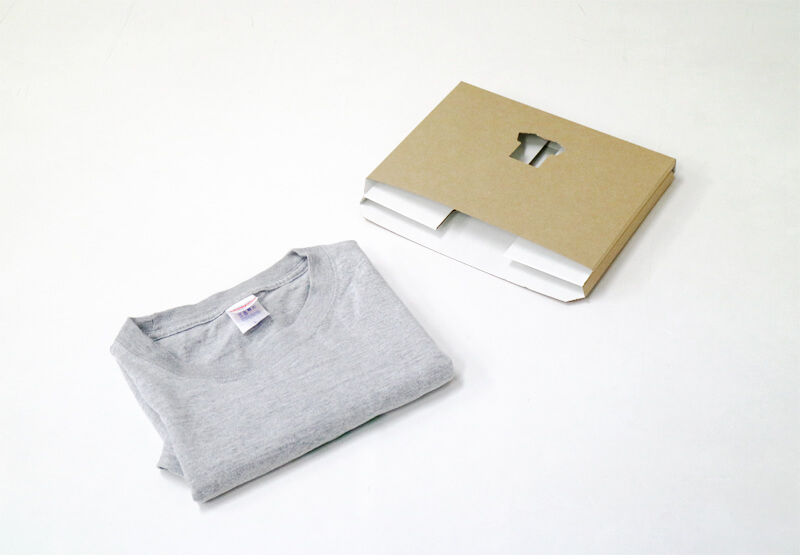 "Tatemu" is the name of their product that consists of a kind of an envelope made of carton in which you can slide your folded T-shirts. Deriving from the Japanese words"tateru" (to put something in a vertical position) and "tatamu" (to fold something. ), Tatemu was created with the aim to find "a new place" for clothes - for example bookshelfs. This way, it not only helps you to store your T-shirts in an easy way, it also allows you to keep track of what kinds T-shirts you own (so you won't end up buying new ones because you forgot about that pile of T-shirts that lies at the back of your closet). Just pay your shelf a visit before your next shopping trip and you will know what T-shirts you (do not) need to buy. Tatemu is available in two colors - grey and natural - and a set comes with either 6 or 18 envelopes of the same color. One set is 1,069 JPY (appr. 66 RMB) or 2,980 JPY (appr. 184 RMB). It can be purchased via the company's online store, however, they are currently only shipping within Japan. Considering that the T-shirt season is just around the corner, let's hope they start considering international shipping soon.